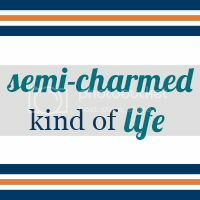 Semi-Charmed Kind of Life: Summer Book Challenge Winner: Nova R.
Summer Book Challenge Winner: Nova R.
Today I'd like to introduce you to another finisher of the Semi-Charmed Summer 2012 Book Challenge, Nova. She finished the challenge in the first nine weeks, which made her the third finisher overall. Read more about her after the jump. Favorite author: Terry Pratchett!!! Hands down, that man is an amazing writer. I always read his stuff when I need a pick-me-up or when I just want a laugh! Love it!! Favorite book you read for the summer book challenge: Most definitely The Book Thief by Markus Zusak. This book totally took me by surprise! I loved every minute of it! Is there any book (or author) you absolutely refuse to read? The only thing I refuse to read is anything political. I know I should read more about politics but honestly I just hate thinking about it! I read for fun and relaxation! What book is at the top of your to-read list right now? Alice in Zombieland by Gena Showalter! Seriously, I've had this book for a month and haven't gotten to it yet! What was the first book that really made an impression on you? Why? Clan of the Cave Bear by Jean M. Auel. I was young and grew up in a harsh environment, and reading about Ayla overcoming all of her adversaries gave me strength and hope that still lasts to today. I know I can tackle anything I set my mind to! When did you first know you were a "real" reader? I don't know when I first thought that. My closet was filled with books: every single Nancy Drew, plus anything else my mom would deem worthy of reading. So, I am guessing around that impressionable young preteen age. Where is your favorite place(s) to read? In my reading nook!! I have a bookcase, a comfy loveseat, pillows and a blanket, all for MEEEE!!!! Thanks for sharing, Nova! I loved your answer to my last question. I'm sure your daughter would love to hear that. :) Congratulations on finishing the summer challenge, and best of luck with the winter version! Who's ready for the first check-in on Saturday? Don't forget to stop by and record your progress from November. And if you haven't joined the winter book challenge yet, it's not too late! 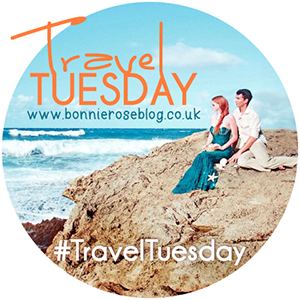 Review the rules, link up and/or grab a button here. Teasers are just spoilers in disguise. Summer Book Challenge Winner: Heather L.